Berminat utk mencari Ear Thermometer utk anak anda? Skrg kami membuat pre-order utk termometer ni. Hanya buat deposit pembayaran sebanyak 50% dan selebihnya akan dibayar selepas brg sampai ke tangan sy & ready utk pos. PM sy di fb https://www.facebook.com/normarshaliza @ emel sy: dak_rotu@yahoo.com utk harga yg TERBAIK!! 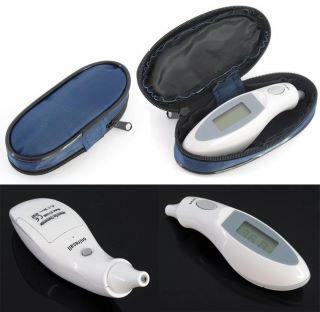 1.Press the ON/recall button to turn on the thermometer. 2.Press the scan button,release it.when you hear a beep sound, the measurement is complete. 3.Press the On/recall button continously for the last ten memories(NO.9-NO.0)will take turns to display on the LCD. 4.After one minute if not in use, it will shut off automatically.